Dancing On Ice finalists Wes Nelson and Saara Aalto opened the finale of the show by scoring 10s across the board. 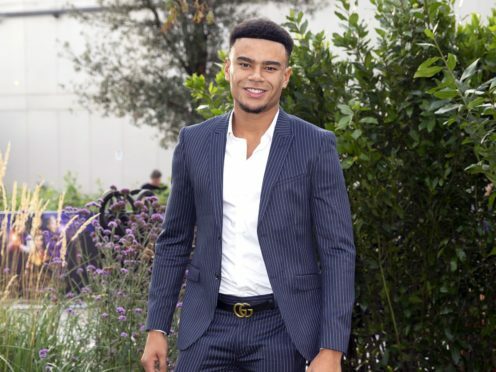 The pair received top marks of 40 out of 40 from judges Jayne Torvill, Christopher Dean, Ashley Banjo and Jason Gardiner as the final of the ITV show got under way on Sunday. Fellow finalist James Jordan lagged behind on 39 out of 40, after a performance which the panel felt lacked some of his usual sparkle. However, hosts Holly Willoughby and Phillip Schofield pointed out that the former Strictly star did especially well as he had a shoulder injury. Love Islander Nelson said it was “an honour” even to be in the final, in the presence of “legends” such as Torvill and Dean. Former X Factor contestant Aalto appeared to be overwhelmed as the judges told her their verdict. “I feel so good!” she squealed. “Oh my goodness, we had so much fun,” she said. Sunday’s final will see one of the three crowned the champion of the show after a 10-week run.